Skyclad is white with splashes of deep navy, royal blue, and blushes of pinky purples. 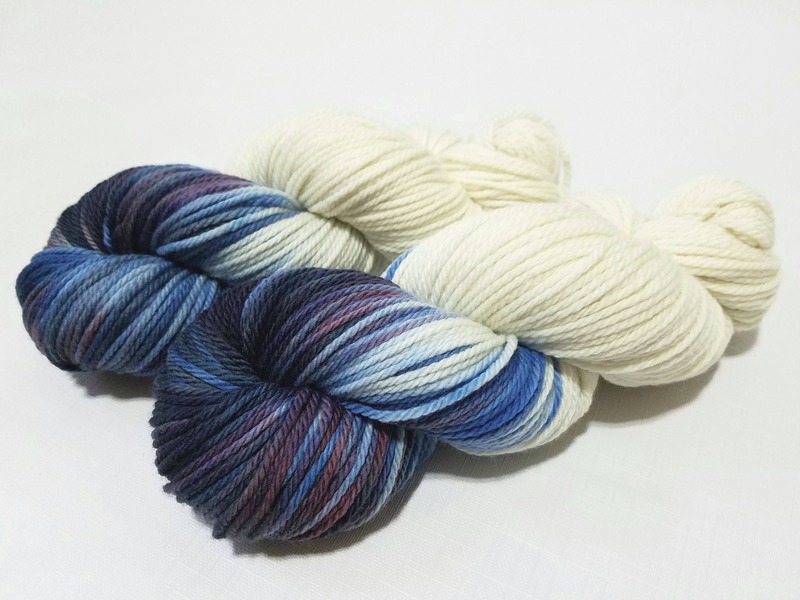 Every skein is unique and will marble differently - enjoy! This yarn base is soft and squishy, and may be machine washed - however I always recommend hand washing your precious hand-crafted goods!